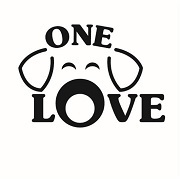 One Love Animal Rescue is having a holiday wreath sale! These are freshly harvested, 24" , double sided, wreaths. Wreaths can only be ordered until 11/18. Pick up will be December 8 from 11-5 at Maro Bros, 1500 Route 38 in Hainesport, NJ. Maro Bros will be offering specials during the pickup times. Pick up your wreath and shop for cocktail!